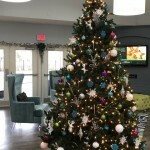 Its beginning to look a lot like Christmas at Canton Club Apartments. We would like to wish everyone a very Happy Holiday Season! 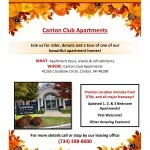 The leaves are changing colors, the air is crisp and Fall has officially arrived at Canton Club Apartments. Stop in and see us for some Fall treats!